Nyren's Corner: I'm Excited for Gundam Build Divers... Even if it isn't What I Asked For. I’ve been a fan of Gundam for a very long time, and while I have yet to watch every series, I’m pretty damn close. Having all of that Gundam knowledge makes a series like Gundam Build Fighters even better than if it were watched on its own. It’s filled with so much Gundam fanservice. 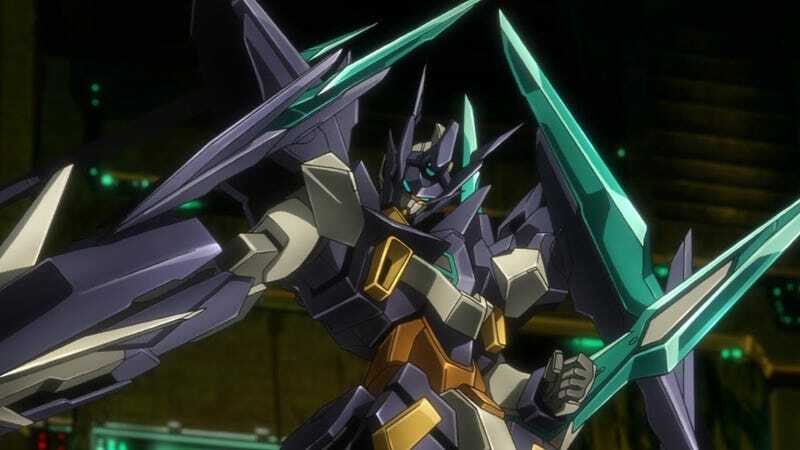 The second series, Gundam Build Fighters Try, introduced Mobile Fighter G Gundam into the mix which cranked everything up to 11 for better or worse. The series didn’t feel as good as the first series, but it wasn’t a complete train wreck either. So naturally I was looking forward to a third series that would finish the story they had set up... except we’re not getting that third series apparently. We’re getting a different third series called Gundam Build Divers. What relation this series has, if any, to the previous series remains to be seen. There’s no mention of Plavsky Particles, the magical particle that brought gunpla to life in the two previous series, and it seems to be set so far into the future that even if the two are related, it’ll just be backstory and nothing more. It does actually pain me to not have the story set up in Build Fighters Try and the Island Wars OVA be finished despite the fact that I thought Try wasn’t as good as the original. But that’s also why I’m excited for Build Divers. Revealed via a 14 minute prologue episode, I got the same feeling as the original Build Fighters series. The fights are intense and well choreographed, but they aren’t spectacularly over the top and unbelievably like they were in Try. There’s no one-upmanship going on here where enemies suddenly reveal that they had another form or a gimmick weapon. It’s just a no-holds barred brawl with all the chips on the table. Now granted, that could just be this prologue, but I really want to believe that Build Divers is actually going to put more thought into its battles and be great. Plus, it gets me thinking about how cool it would be to have someday have a VR Gundam game like this. Build your own custom mobile suit and then duke it up as if you’re really piloting it, all while spectators watch the battle unfold. Just the thought of it gets me all fired up.